Located in the western region of Greater Poland, Poznań is a charming city steeped in history and character. Home to fascinating museums, churches, distinctive architecture and a thriving nightlife, Poznań attracts various tourists year-round. Famed for its Old Town and Cathedral Island, this populous city is a prominent cultural and business hub in Poland. 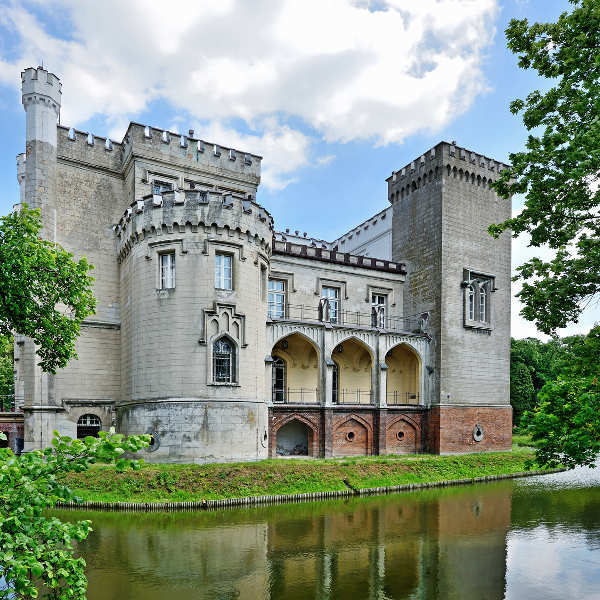 Cheap flights to Poznań are now available for a limited time only, so book your flight today and prepare to be captivated by the historical culture and scenic atmosphere this understated city has to offer! Poznań is home to Poznań–Ławica Henryk Wieniawski Airport (POZ), a 25-minute drive from the city centre. POZ serves many airlines, including LOT Polish Airlines, Lufthansa and Scandinavian Airlines. There are no direct flights from South Africa to Poznań, but popular connecting flights depart from Johannesburg and Cape Town. Flight duration from Johannesburg is approximately 14 hours, 25 minutes. Learn about contemporary art and culture at the ZAMEK Culture Centre, while the Ratusz Poznanski and National Museum exhibit the Renaissance history of Poznań. See the intriguing statues dotted around town, bearing significance to historical events. Feast your eyes on the magnificent displays of Baroque, Gothic and Renaissance architecture evident in the cathedrals, castles and palaces in the old towns. The streets are laced with a rich history you cannot miss! Peruse the open-air markets and green parks of the city, often playing host to festivals and concerts. Wander through the historical sculptures in Citadel Park or enjoy the recreational activities at Malta Lake. 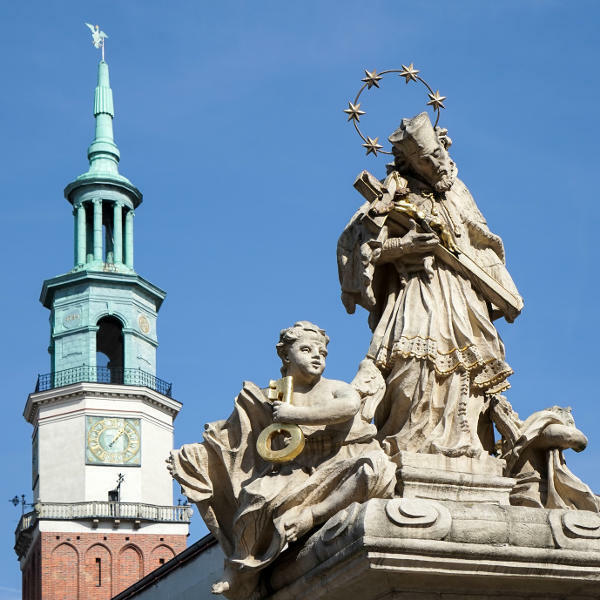 Poznań’s weather conditions are most favourable in summer, between June and August, when the warm sunshine makes for a great day out exploring the city’s sights and sounds. Summertime hosts many jazz festivals, theatre extravaganzas and art exhibitions. The shoulder months of May and September see slightly less tourists, lower prices and cooler weather, making it an equally great time to visit. If you are a romantic at heart, you can catch the Kupala Night festival in June, a Slavic tradition of people releasing thousands of lanterns in the air to celebrate their love. Poznań is one of those understated cities that ends up pleasantly surprising everyone who decides to visit. Teeming with beautiful churches, cobbled alleyways and colourful burgher houses, the old town is a medley of architectural influences garnished with ornate museums and contemporary displays. In addition to its charm, Poznań is a major cultural and economic centre known for its huge trade fairs that attract punters from around the globe. Its reputation as a trade waypoint stems partly from its location on a road that starts in Paris, ends in Moscow, and passes through all the major cities in between. Train enthusiasts must take a trip on Europe’s last-surviving steam-hauled passenger train from the centre of town to Wielkopolska National Park. Be sure to look out for major highlights in Ostrów Tumski (Cathedral Island) such as St. Peter's and Paul's Cathedral, Our Lady Church and Psalter House. The old town square of Stary Rynek is a fine example of the city’s medieval roots with landmarks like Town Hall, King's Castle and Gorka Palace. Środka district is home to The Emperor’s District and the commemorative Citadel Park, while interesting souvenir and food stalls line the streets. Take a break from sightseeing and grab a kayak or water skis, and head to Malta Lake for a refreshing cruise along the water! Compare several airlines, and book your cheap flights to Poznan online at Travelstart! South Africans do need a visa to visit Poznan and the rest of Poland. Passports may not be older than 10 years, must have 2 blank pages and be valid for at least 3 months beyond your date of departure from the Schengen state. You can arrange visas and get more information at the Polish Embassy @ 14 Amos Street, Colbyn, Pretoria. Telephone: (+27) 12 430 2632/ 2621. Poznań is a relatively safe tourist destination. Petty theft is known to occur so use common sense and never leave valuables unattended. Make use of your hotel safe and keep passports and extra money locked away while you’re out during the day. Do not walk around flaunting expensive jewellery and equipment. Walking around at night is not recommended for single women, stick to groups or take a taxi.